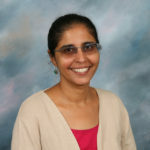 Keerat Giordano is the Director of the Khalsa Montessori School. She is the President of the KMES and KMPS Board of Directors, having served as a member for the last 7 years. With the Khalsa Administrative team, she is responsible for the operation and management of the school. Due to her interest in the Montessori philosophy she also oversees educational decisions with input from the teaching team. Keerat joined Khalsa School in October 2000 assisting in the Lower Elementary classroom and working with students of all age groups ranging from primary to middle school. In the spring of 2001, Keerat joined Jaswant Kaur Khalsa as her Upper Elementary assistant and she subsequently assumed responsibility as Upper Elementary Lead Teacher. Since 2010, she has been part of the Administrative team. She served as the Assistant Director and then the Co-Director of the school. Keerat has a Master’s Degree in Microbiology and Biochemistry from St. Xavier’s College, Mumbai, India and a Master’s degree in Biomedical Sciences from the University of Connecticut. Keerat completed her Montessori Assistant training through the Arizona Consortium of Montessori Charter Schools. She completed her lower and upper elementary Montessori training in 2004 through CMTE/NY. In her spare time she enjoys traveling with her family, reading, experiencing various cultures, learning German and now seeing human development unfold, firsthand, through her daughter. Karen Paxton is the Primary/Toddler Director for Khalsa Montessori Primary School. As the Director she is responsible for the toddler and primary programs at both the primary and elementary campuses. She manages the operation s and staff in conjunction with one administrative staff member. She has been on the Board of Directors for over ten years. She graduated with a Bachelor’s degree from Millsaps College in 1977 and worked as a VISTA volunteer before moving to Arizona in 1979. She worked in the medical field and administered a multi-site primary care practice for eleven years. She has completed graduate courses in business and education. 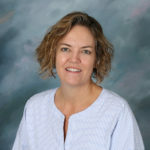 In 2002, Karen completed her AMS certification as a Montessori Middle School teacher at the Houston Montessori Center. She taught middle school students for five years at Khalsa Montessori School. Karen has been a familiar face around Khalsa School since the early 1980’s. She began as a young parent, PTO Board member and finally a staff member, substituting at every campus in the Khalsa School system in the 1990s. Her three daughters have all graduated from Khalsa School. In addition to her role at Khalsa School she enjoys gardening, cooking, yoga and meditation. She is a certified Kundalini Yoga Teacher. 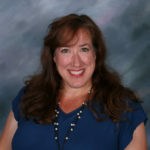 Susan joined the Administration team in August, 2010. She has a strong customer service/Administration background. She spent over twelve years with Holiday Inn Worldwide as an Operations Manager. She spent several years in the retail industry – learning and performing all related functions. In 2006, her children enrolled in a charter school. Here began her journey into the world of education. 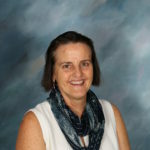 Susan quickly became a member of the Office Administration serving as the Assessment Director and Administrative Assistant for a school serving over 500 students grades K-9. Susan is very familiar with the multi-faceted aspects of managing a charter school and providing an outstanding educational experience for students. Susan moved to Phoenix in August 2009. She enjoys a life of learning; from Business Administration at the University of Utah, a Massage Therapist License from the Utah College of Massage Therapy, becoming a professional feng shui practitioner to learning how to help those around her organize their life. Susan enjoys spending time with her family and friends. Together they enjoy exploring Arizona, swimming in the backyard and hiking in the desert. She also enjoys reading and playing with paint. Amanda began working at Khalsa in 2017. They started working in the front office as the Elementary school secretary, and mid-year moved upstairs as administrative assistant. 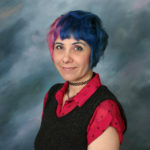 Amanda was born and raised in Phoenix and studied traditional and digital art at Glendale Community College. Amanda enjoys working in positions that promote local community and serve a greater cause. In their spare time, they enjoy drawing, sewing, and playing electric bass. Kira joined Khalsa in March of 2019. She enjoys experiencing other cultures through music, food, and occasional travel. She is passionate about all wildlife conservation, but is particularly passionate about herpetofuana and invertebrates. In her spare time she enjoys drawing, camping, and caring for reptiles, invertebrates, and her dog. Joanna joined Khalsa Montessori in August 2018 as the receptionist in the Lower Elementary campus. She was raised in Phoenix, Arizona. Joanna graduated from Empire Beauty School and became certified in cosmetology. She then began working with mentally disabled adults at a group home as a caregiver, and decided to go into the pharmacy industry. While she worked as a pharmacy trainee, she also coordinated with the administration staff. Joanna enjoys practicing make up, exploring new places, sipping coffee, and spending time with her husband and their two children. She also enjoys being silly with her family and making every one laugh. Heather joined Khalsa Primary School in April, 2018 as the Primary Onsite Coordinator. Married for 28 years, she is the mother of 4 and grandmother of 1. Heather is pleased to be working with young children again in an administrative support capacity. In her spare time Heather enjoys being part of the Phoenix storytelling and theatrical communities. She recently took up square dancing and kayaking and hopes to add an artistic endeavor such as painting or pottery to her future. Yinka was born and raised in Ilorin, Nigeria. She graduated from University of Ilorin Nigeria in 2001 with a Bachelor of Science degree in Economics. Few years after graduating, she relocated to the United States and decided to go back to get her Master of Arts in Special Education from Arizona State University. She has teaching certifications in K-8 general education, K-12 special education, Middle School Math, and SEI endorsement. 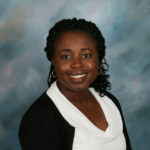 Yinka has since been teaching in the public school system. She believe that all students are capable of learning and that education is a community responsibility. Learning is not an isolated classroom activity. It takes hard work, determination, enthusiasm, and the right support to prepare all students for a life of continual learning.